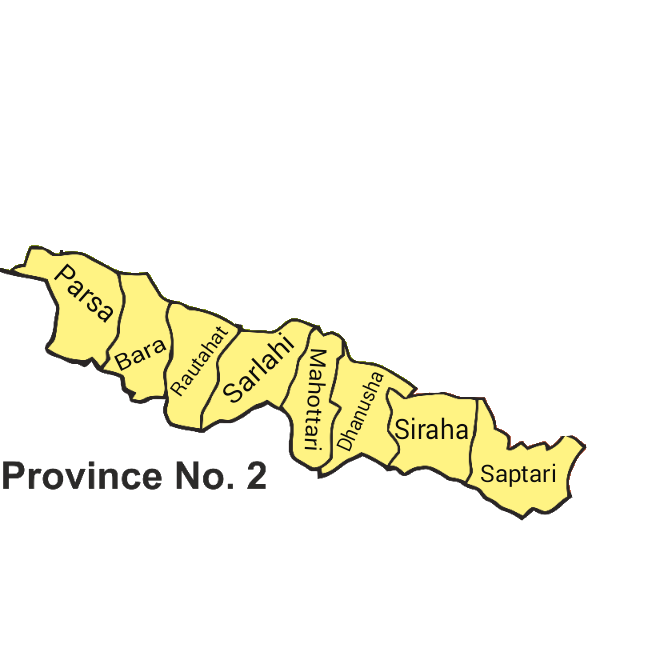 Provincial Support Unit (PSU)-2 provides technical and facilitating supports to the local governments situated in province 2. It looks after those local governments which are in Bara, Parsa, Rautahat, Sarlahi, Mahottari, Dhanusha, Siraha and Saptari districts. Under its jurisdiction, there are altogether 59 Rural Municipalities, 73 Municipalities, 3 Sub-Metropolitan Cities, and 1 Metropolitan City. PSU-2 coordinates, monitors, supervises, facilitates and mentors social mobilizers, local service providers and municipality based IT officers working under in its jurisdiction. To provide the technical support to the local bodies, PSU-2 has the provision of thematic experts. Currently, it has Regional Governance and Capacity Development Expert (RGCDE), Regional Social Mobilization and Community Mediation Expert (RSMCME), IT Officer and Program Associate (PA). It also has two drivers and a support staff working currently.